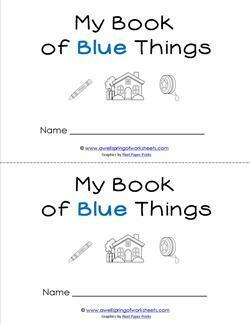 Here's an emergent reader text about blue things: The crayon is blue. The radio is blue. The yo-yo is blue. The house is blue. 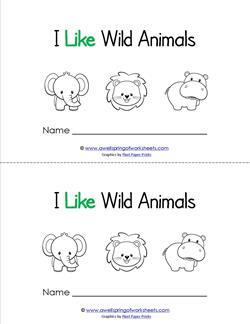 Have fun reading and coloring! Red is the best! Especially in an emergent reader text! 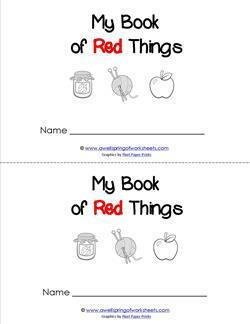 Here you'll read about yarn, jelly, an apple, a flower, and a zipper all being red. An emergent reader can be about good nutrition, and this is one of them. 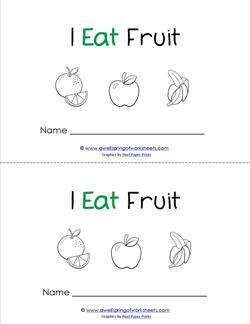 It reads "I eat ..." and names apples, bananas, cherries, oranges and watermelons. Now this is a fun emergent reader. What kid doesn't like bugs? 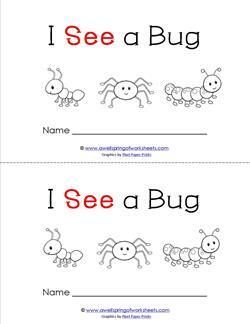 You'll see an ant, a spider, a worm, a ladybug, a grasshopper and a caterpillar. Now this emergent reader is cool! 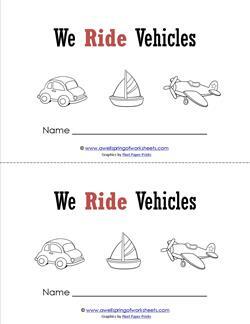 The text reads, "We ride in a car." And in a train, and a plane, and a boat, and a rocket, and even a blimp!